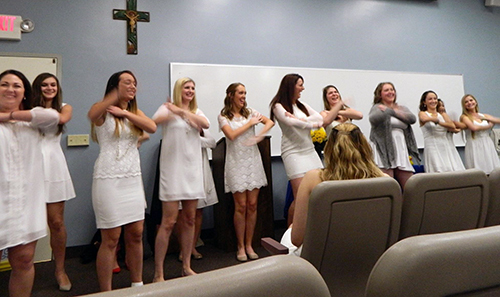 Alpha Tau Delta is a national professional fraternity for nursing students. The Theta Chapter was chartered at the Duquesne University campus in 1938. ATD is a professional fraternity that is based heavily in building a student nurse community within Duquesne University and within Pittsburgh. We do this by having chapter meetings, service events, social events and fundraising opportunities. Why should I join ATD? 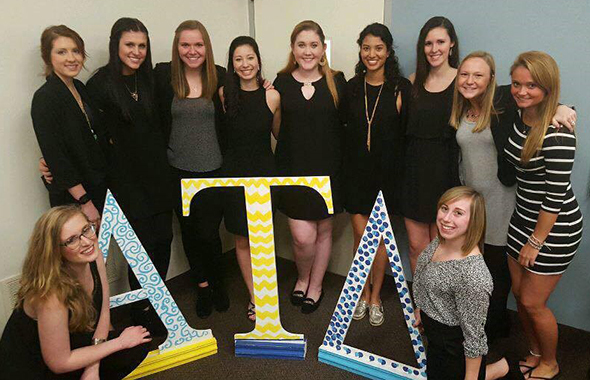 There are many advantages to joining Alpha Tau Delta. ATD promotes higher professional education standards for those in the nursing program. Members participate in community projects that strengthen the nursing profession as well as foster the sense of leadership among student nurses. ATD gives nursing students the opportunity to form close bonds of friendship, fellowship, mutual helpfulness and understanding. How can I join ATD? 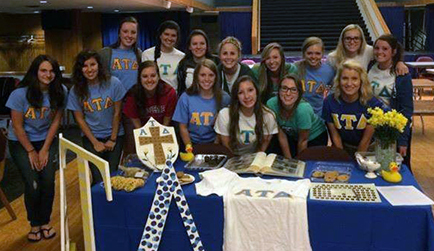 Alpha Tau Delta accepts pledge classes during the beginning of the fall and spring semesters. Signs and emails for informal rush events will be available at these times. Before pledging begins, students must complete an application with resume and be interviewed by board members. Pledging is a 6-week process which includes pledge class events and bonding activities leading up to initiation. Eligibility is limited to full-time students who have completed a minimum of one semester in the School of Nursing with a cumulative quality point average of 2.5. 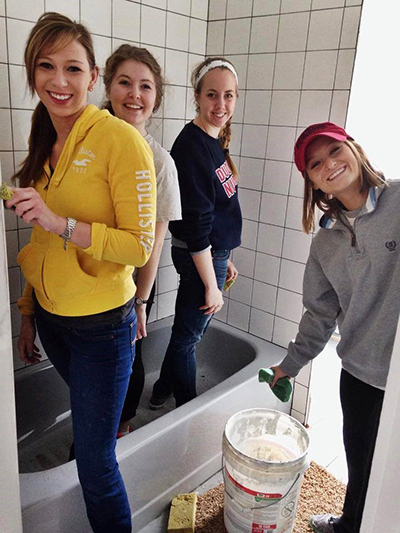 Once initiation process begins, students are then required to complete multiple social, service and fundraising credits. Freshman are eligible to join their 2nd semester. Follow us @duqatd on Instagram!